Years ago, Silicon Valley set off on a quest to figure out how to build the perfect team. Technology companies studied workers to improve their productivity. Google coined the term “people operations” to stress the main mission of its human resources division. Every company focused their efforts on casting a wide net for the most qualified employees and then helping them thrive. Now many companies are turning to technology to solve one of the industry’s biggest problems. The field of “people operations technology,” which is changing the field of human resources, is also helping employers hire a more diverse workforce. 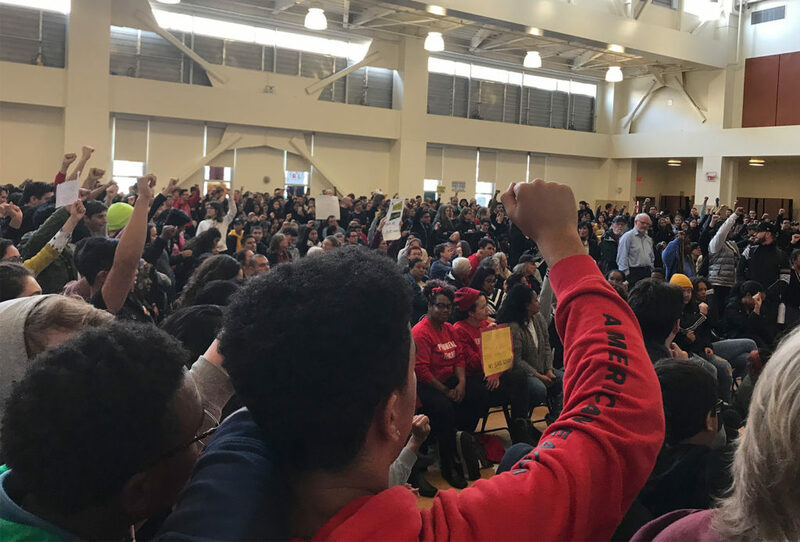 To facilitate those efforts, venture capital firm Kapor Capital in Oakland hosted a hackathon competition this weekend to “hack bias” out of the workplace. Dozens of coders, designers, recruiters and advocates—the vast majority of whom were women and minorities—competed in teams to build tech products that prevent bias and increase diversity and inclusion at work. Maria Ekezian said she decided to attend to network. The day before the hackathon, she launched a company called Olio, a search firm that specializes in finding diverse candidates for tech companies using data and unique algorithms she keeps secret. In her nearly 30 years of experience as a technical recruiter, she said she’s seen woman after woman struggle to break into the industry even though companies do outreach for diverse candidates. Diversity and inclusion are two of the biggest challenges facing the business of people operations technology. It’s boomed in recent years. According to the venture capital database CB Insights, the field saw $2.4 billion in funding across 383 investments in 2015, compared to $1.5 billion across 296 investments in 2014. Kapor Capital, which funds startups with a diversity mission, is a top investor in people operations technology. Founders Mitch Kapor and Freada Kapor Klein, who are tech entrepreneurs and philanthropists, believe that improving diversity is not only the right thing to do, it’s good for business. Lakeisha Poole, an employment lawyer in Menlo Park, came to the hackathon with a game-like idea for a new recruiting platform and professional development community called Talent Karma, which is targeted toward women and minorities. Users gain karma points when they give advice, make referrals, answer questions and share talents. The judges gave her project first place. The grand prize includes attendance to a business-launching bootcamp and three months of venture capital mentorship. For Kapor Capital, the hackathon has an added bonus of finding potential portfolio companies. Méndez said the companies that came to the event aren’t ready for investment, but with some guidance, they could be ready for the second annual pitch competition Kapor Capital will hold in December. Last year, 10 startups pitched their companies for a chance to win $100,000 in funding. Atipica, a service that helps companies find more diverse employees, and the “blind” recruiting app Blendoor, which hides candidate names, photos and dates to mitigate unconscious bias in hiring, each received a $25,000 grant. Painless1099, a service that automates tax withholding for freelancers to help them save for tax season, got $50,000. Hackathon participants competed in teams to develop products that help mitigate bias in the workplace. Erica Joy, an engineer at Slack and advocate for workplace diversity, gives the keynote speech at the Hack Bias in the Workplace hackathon in Oakland. Hackathon participants network at the Kapor Center for Social Impact in Oakland.